KCB series gear pump applies to delivering non-corrosive lubricating-oil or equivalent liquid without solid particles and fibres at temperature below 80℃ and with the viscosity of 5-1500cSt. Reducing the speed, the pump can delivery the liquid that the viscosity can be up to 500000cSt. When in fog weather, the visibility at sea was extremely poor, which brought great difficulties to the normal navigation of ships. In the history of navigation, there were a large number of accidents related to the collision of ships and the collision of reefs caused by fog. 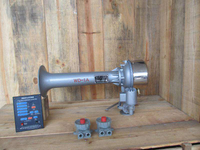 In order to ensure the safety of fog navigation, it is very necessary to have fog horn to be constantly sounded to attract the attention of passing ships. On all kinds of ships, a manhole cover must be provided. The purpose of setting the manhole cover is for the construction and maintenance personnel to enter and exit. Deyuan Marine manhole cover mainly consists of the following parts: seat, cover, handle, rubber gasket, washer, stud and nut. We mainly provide six types manhole covers, steel and aluminium material are available. Reverse osmosis technology is a modern high technology that use reverse osmosis to seperate water from solution after it permeates the specially-made semi-transparent membrane though exerting a pressure that is higher than the osmosis pressure on the solution. 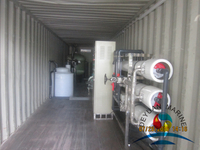 According to different osmosis pressure of various materials the process of reverse osmosis with a pressure higher than the osmosis pressure can be used to reach the purposes of separation, extraction, purification and concentration of a certain solution. It saves more energy than traditional process.